Pure Skin Face Wash from Balance Me was a freebie in one of the women’s magazines some time ago and I pretty much used it up now so I wanted to write about this lovely cleanser before I forget what’s like using it! The face wash comes in a small 50ml tub and for this reason I’ve been using it sparingly and not every day. I actually didn’t want it to run out quickly as I enjoyed how it made my face feel and the whole experience of using it. This water-based cleanser is rich and creamy and it has quite strong floral citrusy scent which I love; it’s not overpowering, it’s simply lovely, making your cleansing routine really enjoyable. The cleanser doesn’t really foam but it shouldn’t come as a worry as it works perfectly fine and effectively removes make-up and daily grime, leaving skin soft to the touch. Comparing to the Faith in Nature neem soap which I normally use, my skin felt definitely softer and much nicer after using Balance Me wash, it also felt somehow nourished. I didn’t find it drying, it actually felt it was helping to keep my skin’s moisture in. The wash is suitable for normal to combination skin, so dry skin won’t exactly love it, but I would also add that it’s a great product for oily skin. It’s actually great for congested skin with breakouts as it will help to soothe it and calm it down. One of the ingredients is anti-oxidant rich moringa, helping to brighten the skin with every wash. This works together with rice bran oils and helps to bring dull skin back to life. Interestingly, the product contains certified organic ingredients but it’s not certified organic by Soil Association, just an observation. This was my first product from Balance Me that I tried and I simply loved it. During my cleansing routine I felt like I was getting a luxurious treatment and aromatherapy at the same time. What a treat! Just to mention a little bit about Balance Me as a brand. In their products you won’t find the following nasties: parabens, sulphates, petroleum, mineral oils, silicones, dea, pegs, propylene glycol, artificial fragrances & colour. The company is also against animal testing so you can rest assured this product is cruelty-free – they don’t use ingredients that are tested on animals and they also don’t use any third parties to do any form of animal testing on their behalf either on ingredients or on finished products. Our award-winning products combine high grade essential oils, powerful natural actives and extracts plus sophisticated naturally-derived formulations to ensure we can offer the very best natural skincare solutions to benefit and protect your skin each day. If you want to bring a bit of luxury to your cleansing routine, this face wash will cost you £11 (£16 for 125ml) and you can buy it directly from their website. I think the price it’s a little bit steep for a product of such a small size, however it’s a such a lovely treatment for a face and I understand why people would want to purchase this again and again. 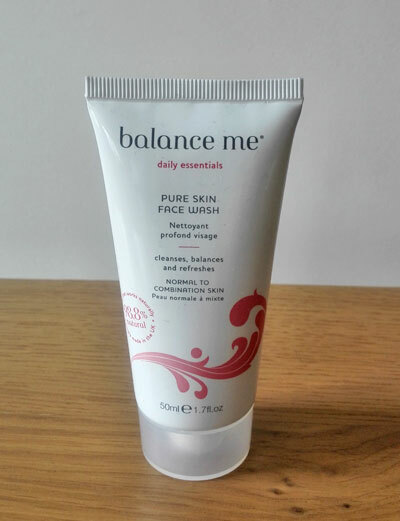 Have you tried Balance Me Face Wash yet and what did you think? I am using this product for the first time too and I am liking it too. 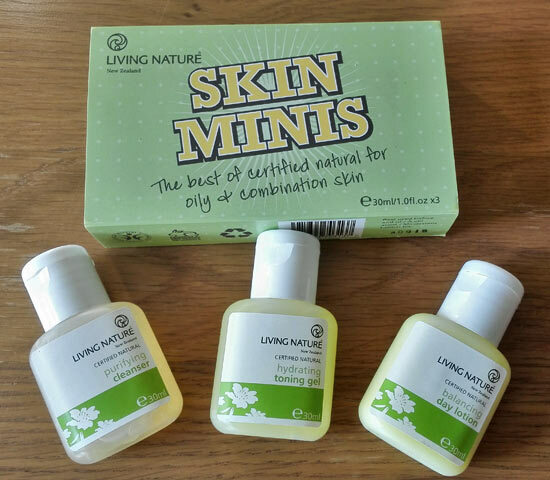 I got a 50ml size on the naturisimo discovery box. The £16 is for 125ml, medium price. It’s good to hear you also like the product. Oops, I thought they only do one size (50ml), I have updated the post now with the correct pricing information. Thanks for pointing this out Liliana. I always try and make my face wash myself, but sometimes I end up forgetting for aaages, so would love to have a really great one to use as well. You make your own face wash Teffy? That’s pretty cool! I couldn’t be bothered to make my own to be honest, so much easier just to buy something! Balance Me face wash is definitely worth trying..